Norman Mapeza has hailed the attitude shown by his side in their 2-0 win over Dynamos at Mandava Stadium. It was the first time that FC Platinum have managed back to back victories against Dynamos since being promoted into the top flight. However Mapeza played down talk of a first league title for FC Platinum. 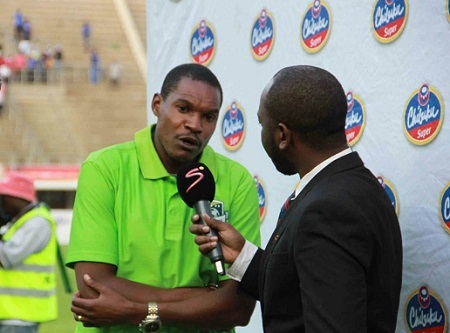 “The most important thing is to take each game as it comes said Mapeza after the match. “We need to keep focused ,work hard and will then see. Our destiny is in God’s hands. “ We got the goals and a positive result.”I told my players (after the draw with Border Strikers) if you want to achieve something ,we need to fight for it and they did that . The win saw FC Platinum open a four point gap at the top ahead of other Week 25 matches.